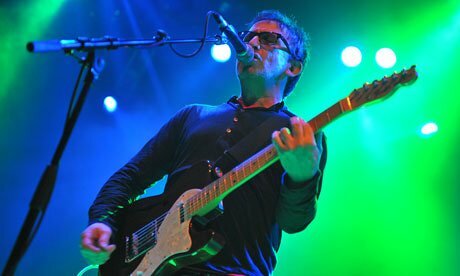 Ian Broudie is a man of few words. His onstage patter, aside from a brief word of welcome at the top of the show, is effectively non-existent until around halfway through when he pauses between songs to survey the audience, lips quirked and twisted slightly. “Thanks for coming out,” he says in a warm, comforting Scouse accent, the mellifluous tone soothing and reassuring, like a familiar sound of childhood that had been presumed lost to history, forgotten and left behind. Familiar and forgotten is arguably a rather apt summary of the Lightning Seeds in general. Originally a studio project for Broudie after half a decade spent as a producer in the underground scenes of Liverpool, they evolved into a touring act just as Britpop ignited the charts and rode the waves to moderate success with their sunshine-infused indie pop that recalled the lush harmonies of the Beatles and the Beach Boys. Yet, their lasting legacy on British music is not a deft pop gem, but rather a beery terrace anthem, Three Lions, recorded with two comedians, as the theme for an international football tournament. 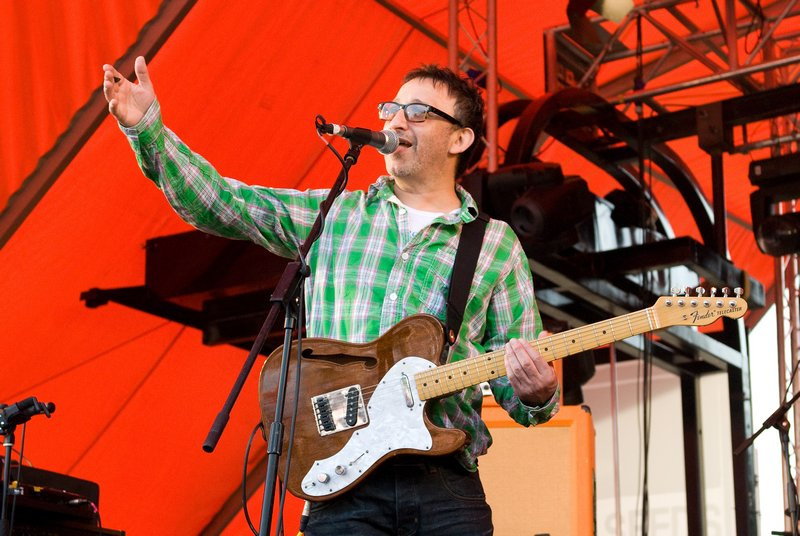 They may have never delivered hits on the scale of contemporaries like Shed Seven and Cast, but Broudie could be justified for feeling snubbed with his place in history. He looked like he’d jacked it in at the turn of the century when the band was quietly dissolved. But they reunited in 2006 for the growing nostalgia circuit and, bar a single album – 2009’s Four Winds, which goes entirely unrepresented tonight – have continued play the classics all over the country. Their stop in Leeds takes in the recently refurbished City Varieties Music Hall, restored to its former grandeur, and an oddly intimate setting for pop concerts. With its chandelier and red-velvet upholstery, it’s not the sort of venue that would inspire anything particularly raucous. But the Lightning Seeds, for all their association with England football fans, are not particularly raucous to begin with. Broudie and band – long-time-bassist Martyn Campbell, short-time-drummer Sean Payne, and his own son Riley on rhythm – arrive quietly on stage and open with the swirling psychedelic strains of Ready or Not, before bursting in with zesty synths and brass samples, wrapped around jangly guitar work. It is joyous, uplifting pop, teaming wryly observational lyrics with gorgeous summer melodies, delivered without fuss. Much of their setlist is cut from the same cloth; All I Want pits Broudie’s idiosyncratic tone against rich bubbling keyboards, parts wishful and wistful, whilst breakthrough single Pure is just as giddily enjoyable as it was upon release over two decades ago. But it’s a workmanlike performance from the group; outside of the songs, there’s limited interaction and little personality. The Lightning Seeds has always been Broudie, and with the exception of Campbell, an ever-revolving cast filling out the varying lineups. It’s the frontman’s charm that suffuses his songcraft and gives them their distinctive individuality – but his few interactions with the crowd leave a muted atmosphere. Vocally, he struggles on occasion too – the hip-hop Doppler echo of You Showed Me and the woozy Lennon-esque Cigarettes and Lies both see him fall frustratingly flat, whilst the spirited rush of Sugar Coated Iceberg drowns him beneath the drums in a fluctuating sound mix that all too often loses some of the subtle flourishes. When it comes together though, it delivers wonderfully. The low-key Perfect, with its snatches of whirring organ, is pretty and shivering, like a naked flame in a moonlit breeze. Set closer Lucky You serves up the same jubilant pop as before, only with a touch of venom absent in earlier proceedings that creates a needling edge. The elongated intro to encore pick Marvellous unfolds, then explodes into brash horn-drenched existence with a cheesy grin and a wave. Perhaps Three Lions would be escapable if it were not for the imminent Euro 2012 tournament – as it is, Broudie produces the song without fanfare, eliciting a sing-along response for the first, and final time. As they depart into the night, there’s a sense of completion – but merely perfunctory rather than a job well done. Broudie can connect emotionally with ease through his songs; if only he could do it more often without.